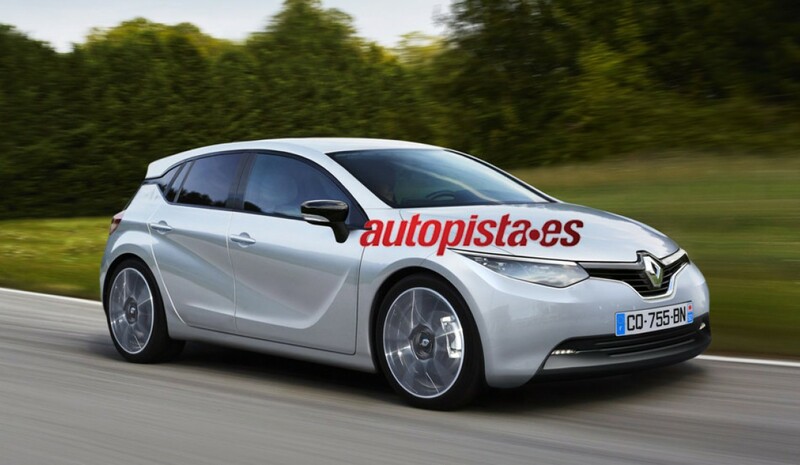 The experimental car Eolab and some of the technological solutions which premiered Laguna, but evolved and improved (the four-wheel steering 4Control, for example) will form the basis of the new generation Renault Megane, whose start marketing should not extend beyond end 2015, according to the information available to FREEWAY. Structurally, the Renault Mégane IV the starting point is the modular platform CMF (Common Module Family) -and already in use- shared with Nissan. As for design, we will advance the new Mégane will mix on the outside silhouette robustness more futuristic, for a vehicle of 4.30 m in length and with a greater width compared to the current lines and a somewhat lower height. In the mechanical chapter, Mégane will continue to offer the latest 'Downsizing' in which Renault is working, including gasoline engines three cylinders low displacement that taken as a basis the current TCe 0.9 plus 1.2 TCe renewed and 1.4 TEC (the latter two tetracilíndricos). At the top of the range petrol Mégane IV, there would be ruled out 1.6 TCe that catapults the French compact beyond 250 hp in the ever desired version R.S. For those who prefer diesel, the dCi technology will also incorporate new features, among which will highlight a new Biturbo 1.6 dCi with power levels between 160 Y 200 hp, without forgetting blocks more 'rational' for access to the supply of diesel dCi.